Kiya Anderson (clarinet), Romia Mays (trumpet) and Shaleelah Brown (flag) will be the newest members of UAPB's Marching Band (M4) this fall. All three young ladies qualified for the UAPB M-4 MARCHING BAND during Lion Fever Day, which took place on Friday, March 29, 2019. These students are current members of Dollarway High School Band, Mrs. Vickie Liddell, Band Director. 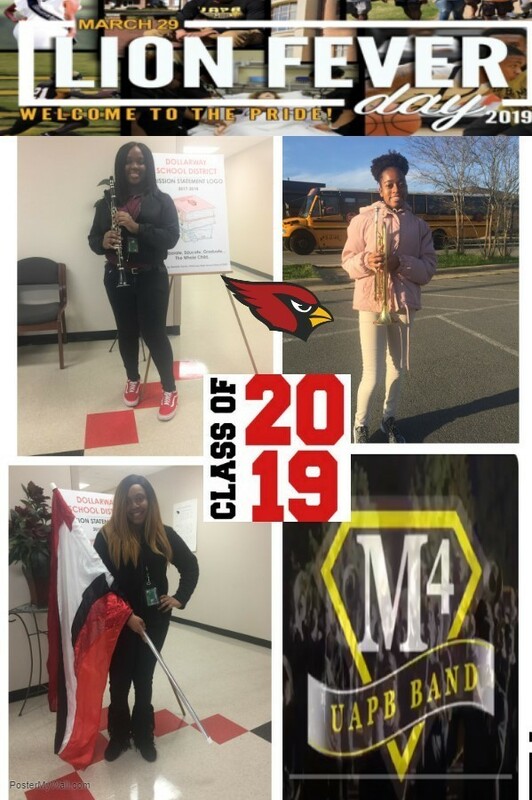 Romia serves as drum major and Kiya serves as band student President and although Shaleelah was awarded a spot in the flag section, she also plays clarinet in the band. You ladies are amazing and we are so happy for you!! !